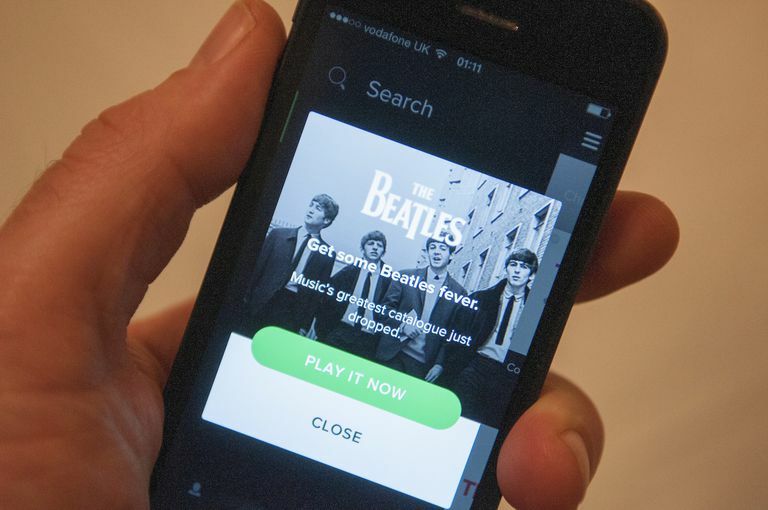 Anyone can purchase a Spotify gift card from a bricks-and-mortar retailer or even online through PayPal, although bulk purchases are limited to a handful of European countries. Spotify no longer sells gift cards through its own site, but you can still redeem gift cards. Many retailers offer plastic Spotify gift cards in varying denominations. Simply purchase the card and let the cashier activate it. Then send the card to your intended recipient. Places like Walmart, Costco, Target, and Best Buy offer physical cards, often near their checkout stands. Some online vendors also offer Spotify gift cards. PayPal, for example, sells gift cards through its Spotify program. Pick a denomination — $10, $20, or $60 — then add it to your PayPal shopping cart. This approach works by email, and you can schedule your gift and add a brief personal note, as well. Got a gift card of your own? Visit Spotify's redemption page to enter the card and your PIN to claim the account credit. Log into Spotify's landing page for gift cards for troubleshooting instructions, including the relevant links to customer-support sites. Spotify offers a corporate bulk-purchase program for gift cards, through partnership with a vendor called Cadooz. The program is open only to 24 European countries. U.S.-based companies are not eligible to participate unless the gift cards are redeemed with accounts in those 24 countries. How Do You Give an Apple Music Membership as a Gift?